Will you be running hi or low impedance fuel injectors? What does this mean? 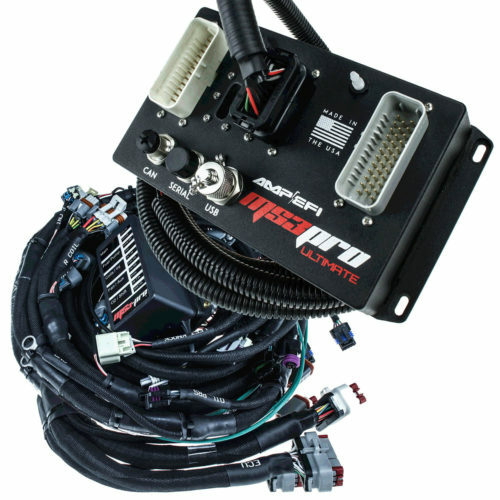 MS3Pro ULTIMATE will control both, while MS3Pro EVO will only control the more common high impedance injectors. Beyond the standard requirements to run your LS engine, what additional inputs (information coming into the ECU from things like sensors & switches) & outputs (commands from the ECU to control solenoids/ relays/ valves/ additional equipment) do you need? If you’re not sure, contact our Tech Team and tell us more about your combo and horsepower goals- we can help. All wiring is composed of TechFlex woven, self-extinguishing wrapped, hi-temp TXL & GXL automotive grade wire with OEM Delphi & TE connectors. Reach the battery under the hood or in the trunk with 4 gauge power & 10 gauge ground wires. All relays and fusing live in a single, waterproof fusebox and the fuel pump wiring / relay / fusing is big enough for pumps that can handle 1000whp or more right out of the box (10ga wire, 30amp circuit). This harness was designed with room to grow! 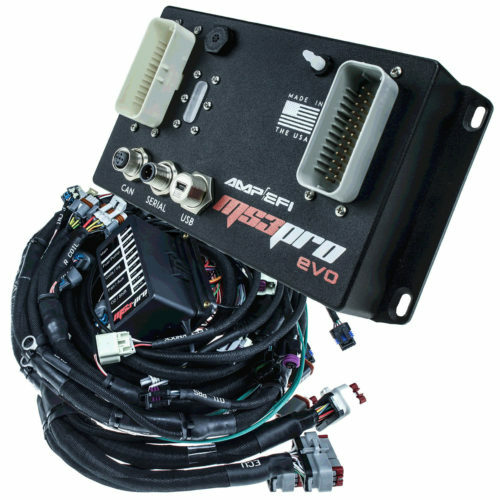 MS3Pro EVO and ULTIMATE ECU products also carry a Lifetime Warranty for the original purchaser. What else does the stock ECU control?